The following programs are especially suited to High School Audiences. The Drum of the Elephant King: a Musical, Magical, multi-cultural adventure story and teaching tale from Haiti. This traditional folktale combines African and European story forms as it teaches geography, cultural practices, and insights into social and cultural diversity. 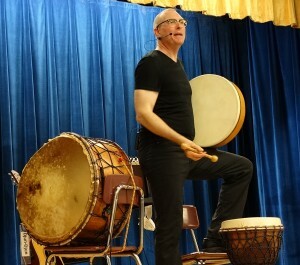 Beyond The Borders: Drums, Songs & Stories Celebrating Cultural Collaboration and Tolerance. The High School Bullying Program: A “Modern Jedi” Approach to Dealing with Bullying, Teasing, Intimidation, Peer Pressure and Mean People without being physically or emotionally hurt. 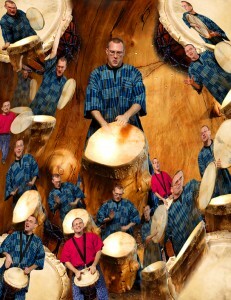 Thirsty For The Sky: Drums, Songs & Stories about Living Your Dream. This is so much more than a motivational assembly. Mark Shepard has walked his talk for 30 years pursuing his passion as a singer songwriter and personal transformation Coach. Here he uses each of his major setbacks to share the lessons learned in ways that enable students to apply the benefits of each challenge. The Way of the Modern Jedi: Defeat the Dark Side & Master Your Mind For A Change. This is a flexible format that can be a 1 hour keynote or assembly or a full day or multi-day seminar. The program content is primarily from Shepard’s 10 years of experience as a certified Master Practitioner and Trainer of NLP helping groups and individuals overcome fears, phobias and anxiety as well as coaching peak performance business people and artists. Snap Out of It! : 15 Ways to Fight The Funk and Get Back On Track To Success and High Achievement. Success is not an accident. Success is a process of thinking and acting that can be jump started and self initiated. Shy Guy Help: How to break out of your shell and be the Guy that Gals want to be more than friends with… (without begging, buying, bullying or being a jerk). The Shy Guy Guide For Girls: Guys and gals are wired differently, this assembly is for girls who are looking to experience positive relationships with the kinds of intelligent, creative, articulate boys who probably are into you but who probably will not call. What you can do to help. And what you should never do.